SSD Data Recovery | Solid State Drive (SSD) Data Recovery. Whether its business or personal data loss, we can help. Protech Data Recovery is the national leader in expert SSD data recovery with over a 90% success rate. If we can’t recover your data… you don’t pay! With certified Class 10 ISO 4 Cleanroom technology and an extensive track record of success, Protech Data Recovery offers professional SSD data recovery. We specialize in all types of SSD hard drive failure such as heat, power surge, voltage spikes, physical problems and other power related problems, water damage, accidental drop, electronic failures and more. Protech Data Recovery is the national leader in expert Solid State Drive (SSD) data recovery with over a 90% success rate. Our Solid State Drive recovery experts are specially trained to work and recover data from failed and corrupted SSD. With specialized equipment and techniques that are specifically designed for SSD recovery and flash devices, we can help restore and recover your data from any model of Solid State Drive, in any data loss event. If your Solid State Drive – SSD has crashed, doesn’t function, physically damaged, dropped on the floor, damaged by water, heat, fire or otherwise failed, we can help with the most severe and complicated SSD data loss situations. With certified Class 10 ISO 4 Cleanroom technology and an extensive track record of success, Protech Data Recovery offers professional SSD data recovery. If we can’t recover your data… you don’t pay! Solution for SSD Data Recovery Services. In today’s era there is so much data everywhere. A lot of it is attributed to the fact that hardware has become a lot cheaper. New innovations in technology have also been instrumental in bringing this data boom. With this the risk of losing important data has also increased to a very large extent. Situations may arise when you accidentally delete some very important data. Well, not to worry anymore. Protech Data Recovery will assist you in the best possible way to recover your data. We take care of all versions of the Windows operating system. So irrespective of the OS you can look forward to us for any trouble caused by loss of data from your Solid State Drive as we provide the finest SSD data recovery services across the country. Our SSD data recovery is not only limited to Windows but also DOS, Linux, MAC and many more. The physical damage to the SSD hard drive is caused by a number of reasons. Some of these are mechanical or electrical failure, hard drive with burned chips, hard drives which the BIOS cannot identify and others. The point to be noted here is that there can be non-physical damage as well to the SSD data structure which can be due to virus attacks, corrupt partition tables, formatted drives etc. In most Solid State Drive recovery cases we see missing, corrupted, inaccessible and lost data that can be retrieved provided that the correct skills, tools and SSD data recovery procedures are being used. Our highly trained data recovery technicians apply the latest, most advanced SSD recovery technology and solutions together with our proprietary methods which offers over a 90% success rate. SSD not being recognized by the BIOS. 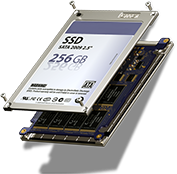 SSD with physical damage, such as being dropped, flooded etc. If your SSD drive has failed or crashed because it overheated, liquid damage, power fluctuations or any other reason, we can help. Call us 24/7 (877) 967-3548.